Thank you so much for making Spring Auction our most successful fundraising event EVER. Through over 300 incredible auction items and class baskets, ticket sales, and our FUNdraiser games at the party, we raised over $37,000. We had almost 200 people rocking at the party! 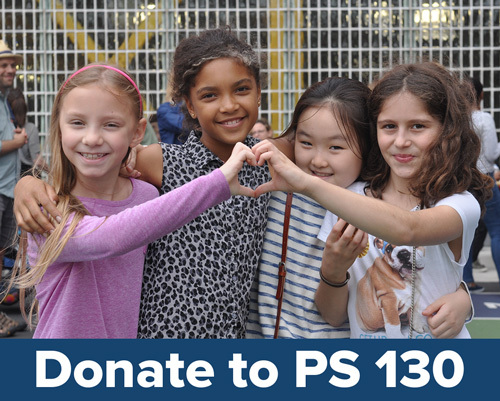 We had three goals: bring our community together, support our local businesses, and raise much-needed funds for curriculum enrichment at PS 130. We accomplished all 3 and then some! Give yourselves a round of applause! 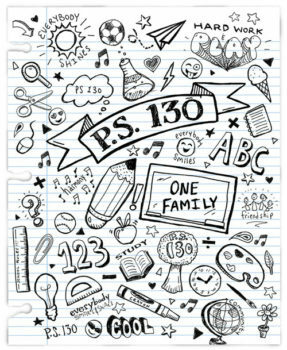 We’re grateful to be serving our beloved PS 130 family. Our community came together and contributed in so many way to make the Spring Auction Party epic. Sweet & Savory Bites were provided by Le Paddock, Der Pioneer, La Villa Pizzas, Brooklyn Cured, Della, DUB Pies, Da Nonna Rosa, Windsor Farms Market, Kabir’s Bakery, One Stop Market and Tamales by Paty. Honey & Moss donated fresh flowers for the event! Please return the favor and support our local businesses! We’d also like to share the long list of parent volunteers who stepped up and spent hours, sometimes weeks—and in a few cases, months—to make this event a success. We couldn’t do what we do as a PTA and a school without your generosity, and we are so grateful to have you! DJ Ayres: hey DJ keep playin that song, keep me dancing, all night long! Will Butler + Band: Thanks for closing out the party in style. Bennett Paster: Our trusty MC! Thanks for keeping the party moving. Our Patient Web Master: Thank you, Noah Klein, for keeping the website running and dealing with all of our last-minute, untimely, requests! You’re on every committee because you help with EVERY event and initiative. You’re the best! The Mighty Donations Team (308 donations this year! ): Allie Book, Caitlyn Brazill, Gretchen Nealon, Jen Handler, Jill Montagna, Jodi Cook, Karyn Anonia, Kate Fermoile, Leah Dyson, Lorne Lieb, Moira Finney, Myra Rosenbaum, Nate Gray. To our beloved Administration, Teachers & Staff: Thank you for your donations, your help, and your support. And thank you for celebrating with us! You inspire us! Our Class Parents: give it up two times for the class baskets! They were an amazing addition and the crowd was in awe of your efforts! The Bank: Thank you to Owen for managing the funds. We will have an *AUCTION PRIZE PICK UP* at Spring Flea! Sunday May 5, at the Lower School. If you cannot be at Spring Flea, please email info@ps130pta.org and we can make other arrangements.